Need more information about booking Home 5847709 ? Just 17 kilometers from Zadar is a place Ninske Vodice, where, only 40 m away from the sandy beach, we positioned our apartments. 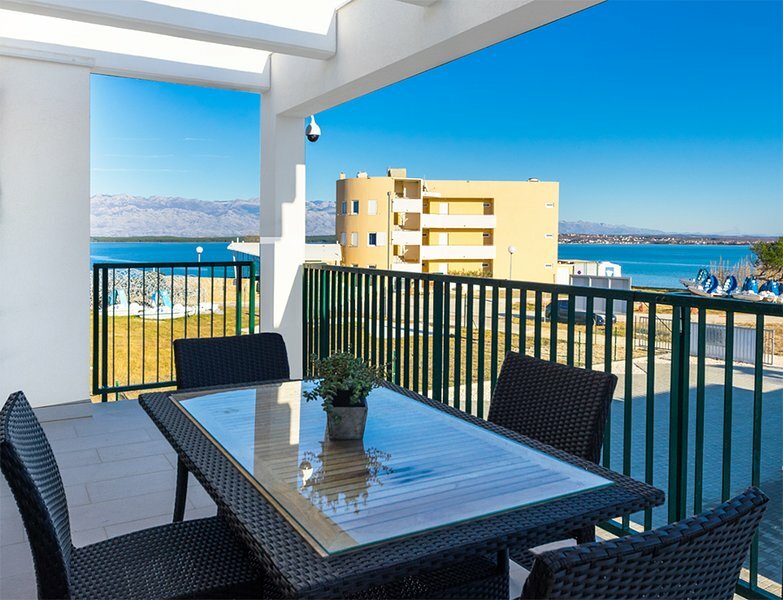 Nin, a beautiful tourist destination, is a real Mediterranean city, and Queen Beach Resort is perfectly placed within the characteristic Dalmatian architecture. Positioned in the lagoon, and about 3 km away from the historical city Nin, Queen Beach Resort is the right place for family with children. The resort has completely equipped apartments. You can get in touch with Queen Beach (the owner) through the contact form on this page. Send Queen Beach (the owner) an email through the contact form on this page. Alternatively, if there’s a phone number on this page, you can call them. How do I contact Queen Beach (the owner)? If you’ve already booked, go to Manage your holiday booking to view Queen Beach the owner's contact details or send them a message. Or send Queen Beach (the owner) an enquiry through the Contact the owner/manager form if you’d like a quote or more info first. When you pay online through the Book your stay form, a booking request is sent to Queen Beach (the owner). You’ll find out within 24 hours whether they’ve accepted - no money will leave your account before then. You can also request a quote from Queen Beach (the owner) through the contact form. The owner will email you the total cost for your dates and a link to book and pay online. Use the Book your stay form to pay provisionally online. You can pay by credit/debit card or PayPal. Queen Beach (the owner) will have 24 hours to accept the booking and no money will leave your account before then. Why can't I call Queen Beach (the owner) before booking? You’ll need to contact Queen Beach (the owner) to do this. Send them a message in Manage your holiday booking or through the contact form on this page. You can request to change the dates or number of people on your booking via the Manage your holiday booking page. To change your holiday dates use the Edit booking button. If you need to change the number of guests staying then send Queen Beach (the owner) a message. If Queen Beach (the owner) agrees, they’ll send you a revised quote outlining the changes. You can review and accept/decline this from the Manage your holiday booking page. You’ll have 48 hours to take action before the revised quote expires.